Founded by Arvind Brahmakal to transform the a�?cultural deserta�� he encountered after moving to the east of the city, Ranjani Fine Arts gears up for a�?the crescendo of their annual calendara�� a�� a weekend of the finest Hindustani and Carnatic talent countrywide. The third edition of the annual festival includes vocalists Sanjeev Abhyankar andAbhishek Raghuram, a performance that unites three generations of violinists, as well as a programme specifically for children. Brahmakal works to make classical Indian music universally accessible in an urban scenario. a�?Throughout the year, we have workshops, live performances and demos. But the annual festival brings in the most inspiring performers,a�? he shares. 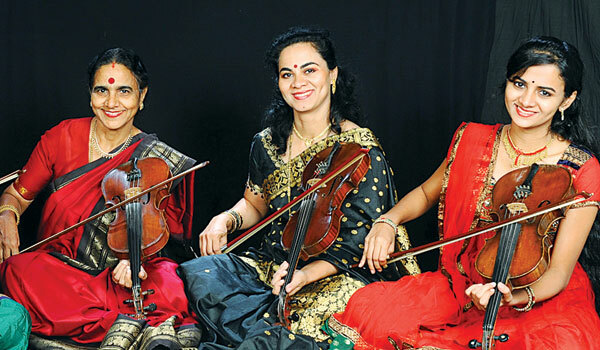 Agreeing, Sangeeta Shankar, who will travel from Mumbai and perform alongside her mother Rangini and daughter Nandini, says, a�?Ita��s important to create access to excellent music, whether people are traditionally a�?musicala�� or not. In todaya��s hectic society, thata��s a big boom.a�? Between them, the musicians have performed in the worlda��s cultural capitals. Keen to lay foundations for the next generation of classical musicians, there is also a concert aimed directly at young people. a�?The childrena��s special Carnatic music concert was devised especially for this festival, and is a new concept. We want kids to get a taste of it.a�? Organised by violinist Mysore Manjunath and his brother Mysore Nagaraj, it also includes Jayachandra Rao on the mridangam, Giridhar Udupa on the ghatam and Pramath Kiran on tabla. a�?Wea��ve played everywhere a�� from local schools to the Sydney Opera House, so wea��re in a unique position to be able to do this,a�? says Manjunath. a�?As a community, wea��re not focusing enough on the next generation who will take this music forward,a�? he adds. In order to go beyond the misconception that classical music is not for children, the group will hone in on rhythmic-centred compositions that the audience can participate in. They will also devise improv sessions where the children can repeat simple melody lines. a�?Wea��d encourage people to take a step out of their everyday existence and join us. With the strength of the performers, people are now even coming out of the city to us.a�? Brahmakal concludes.